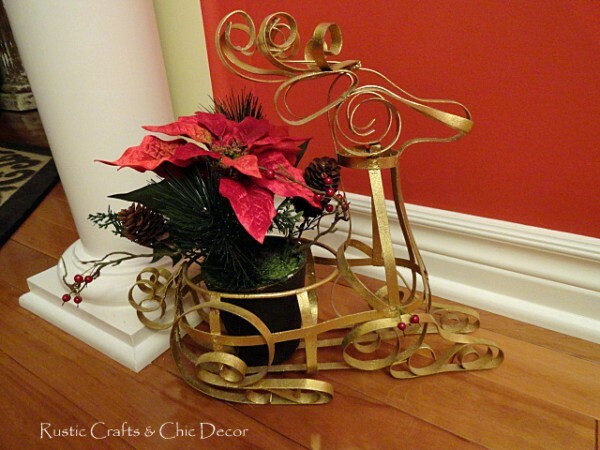 One nice thing about having a red dining room is that it is a perfect palette for highlighting all of your Christmas decor. In fact, I feel like I only need to add a few things and my dining room is already fit for the holiday season. It is one of my favorite rooms in the house to decorate because it looks so cheery when I am finished and takes the least amount of effort. 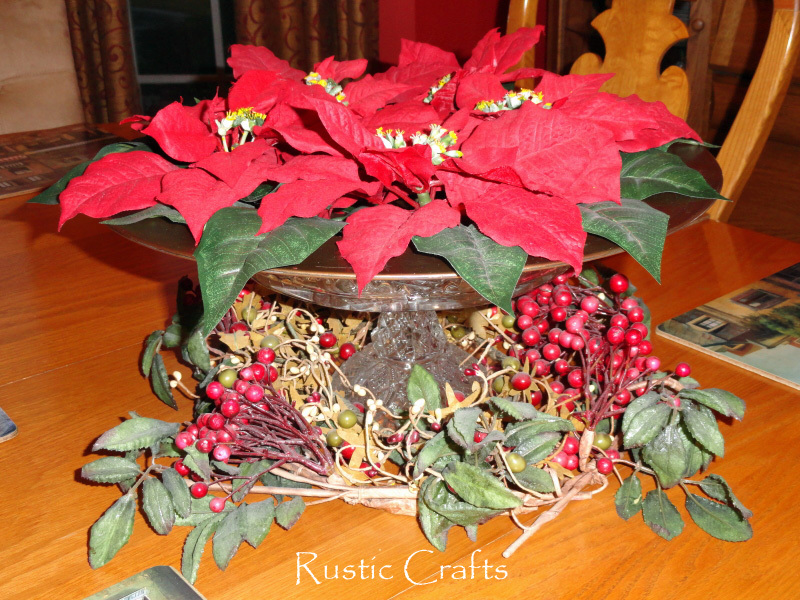 No matter what the color of your dining room, though, I have a couple of real easy tips that can have your dining room looking festive in no time at all. 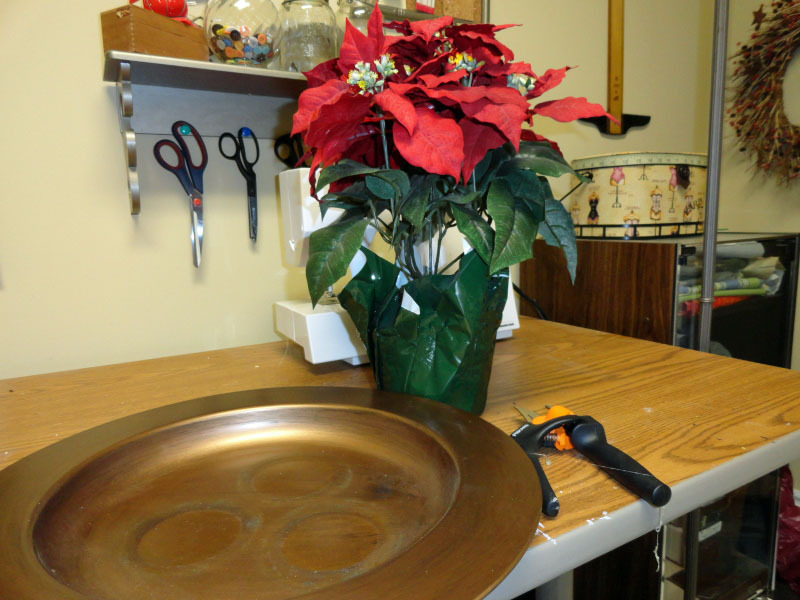 I am also going to show you how to make an easy centerpiece using an inexpensive artificial poinsettia plant, a bronzy gold tray and a glass pedestal plate. The first tip that I have is to simply drape some garland over your window treatment. Pick something festive that complements your fabric. 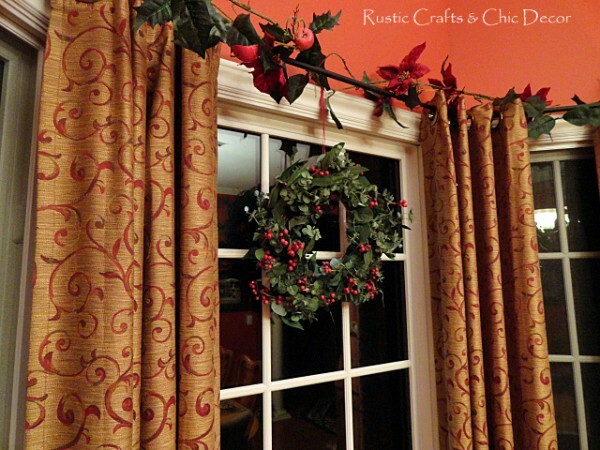 If space allows, you can also hang one or more wreaths from your curtain rod using decorative bows. 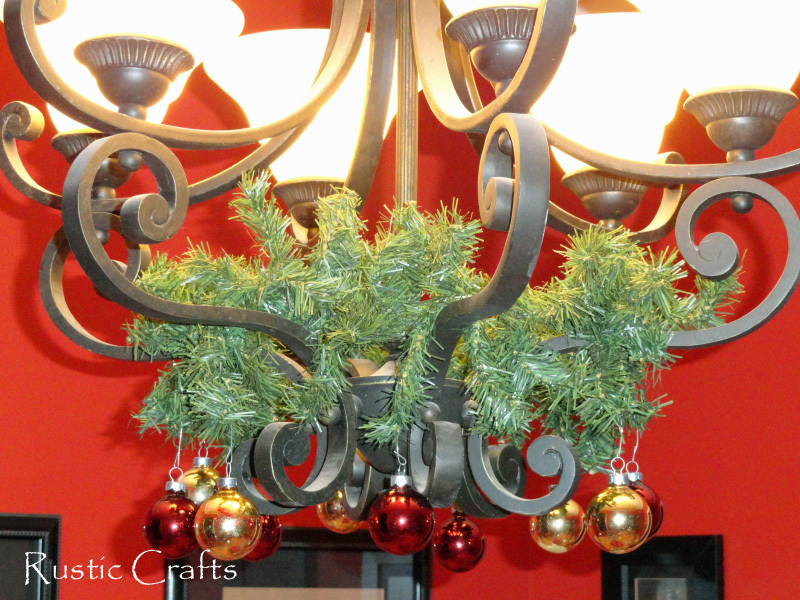 I cut a small section of evergreen garland and wove it through our chandelier, twisting the two ends together to keep it in place. Then, I just hung small red and gold glass balls from the garland to add a little sparkle. You could also hang neutral colored balls to go with any colored dining room or choose a color that matches your own room. 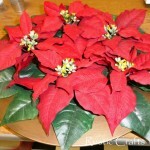 An interesting centerpiece is sometimes all that you need to make your dining room Christmas ready. It can also be fun to get real creative here. 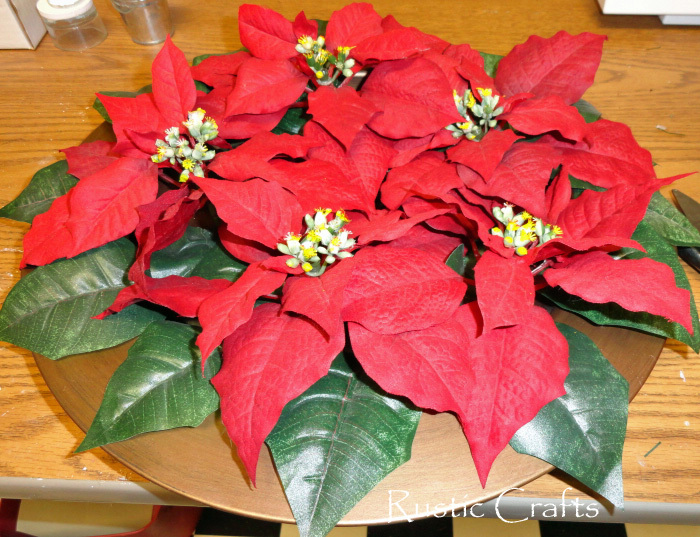 I love the look of poinsettia plants so I wanted to make something for my table using an old artificial plant that I had. 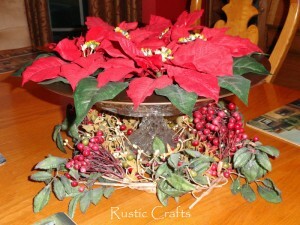 If I’m not going to use some of my old Christmas decor, then I love to be able to recycle it in some way! 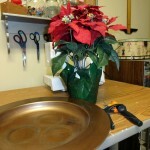 I took the old candle tray and the poinsettia plant down to my craft room. 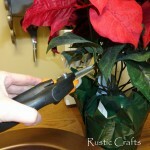 And, I started destroying the plant! 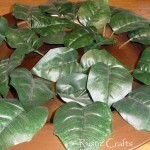 Beginning with the leaves, I began clipping them off and laying them in my tray. 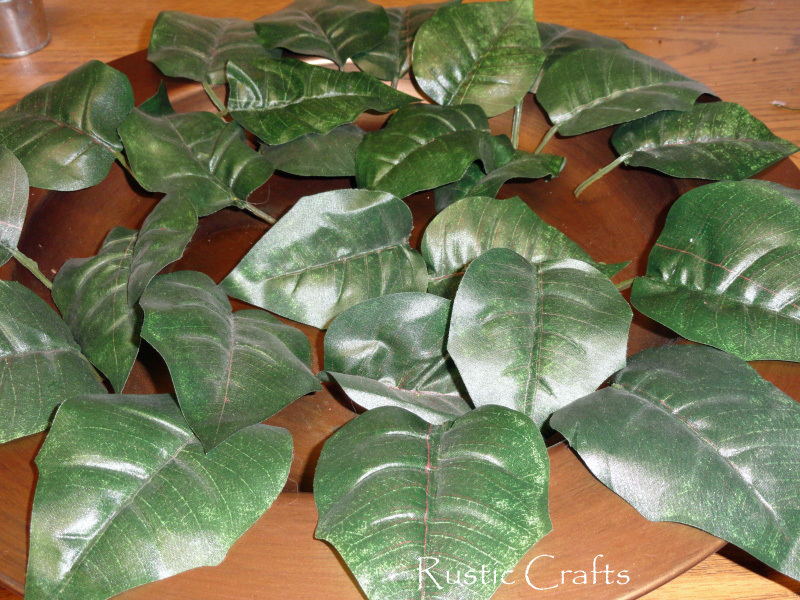 I filled the entire tray with the leaves before I starting clipping the flowers. 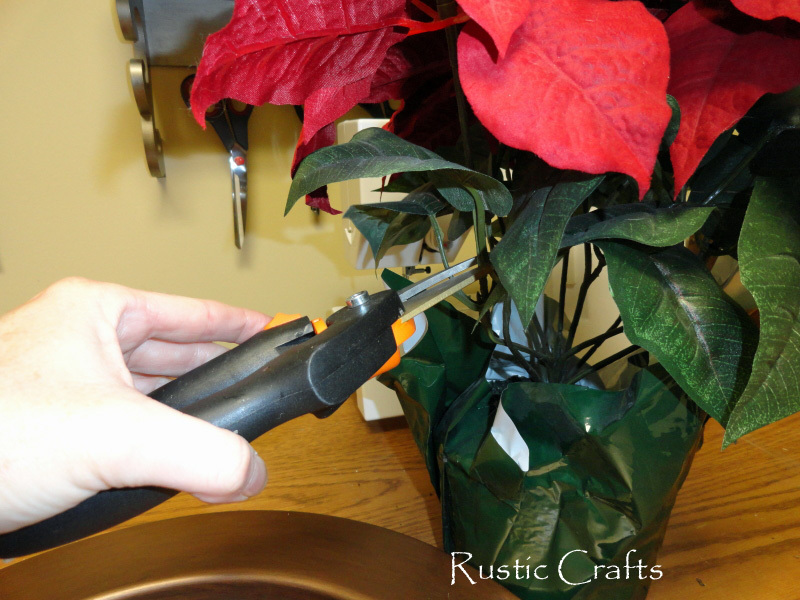 The wire for the flowers was a little tougher so I had to use a stronger tin snips. I used most of the flowers to lay across the top of the leaves. 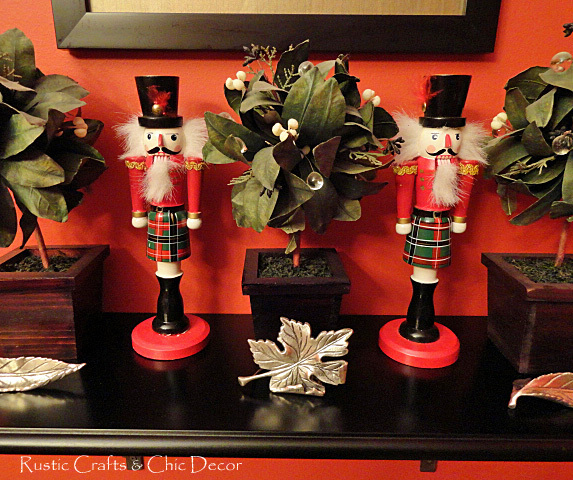 I love my nutcrackers standing there between the topiaries! And now down to the floor. Maybe I’m thinking about the cat. I have to have a couple of things at his level too! 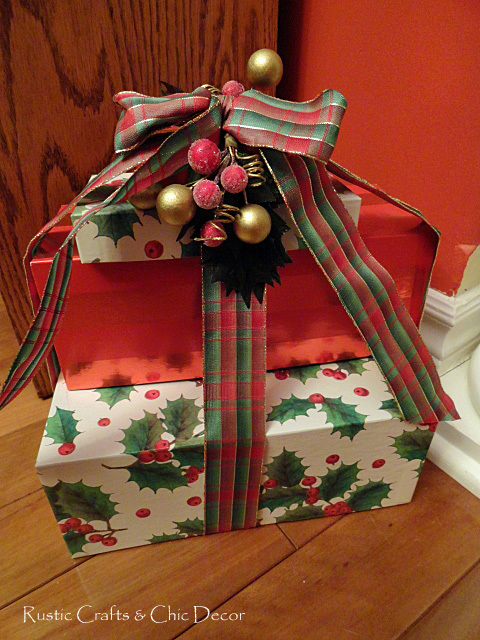 I like to save the festive packages that we receive food gifts in. They are always so beautifully packaged and I think they look nice sitting out long after the food has been consumed! And that is my dining room all decorated for Christmas! Hi, this is really beautiful! 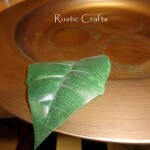 I am a new follower from Thursday Favorite Things Hop! Hope you can stop in, say hi and follow back. 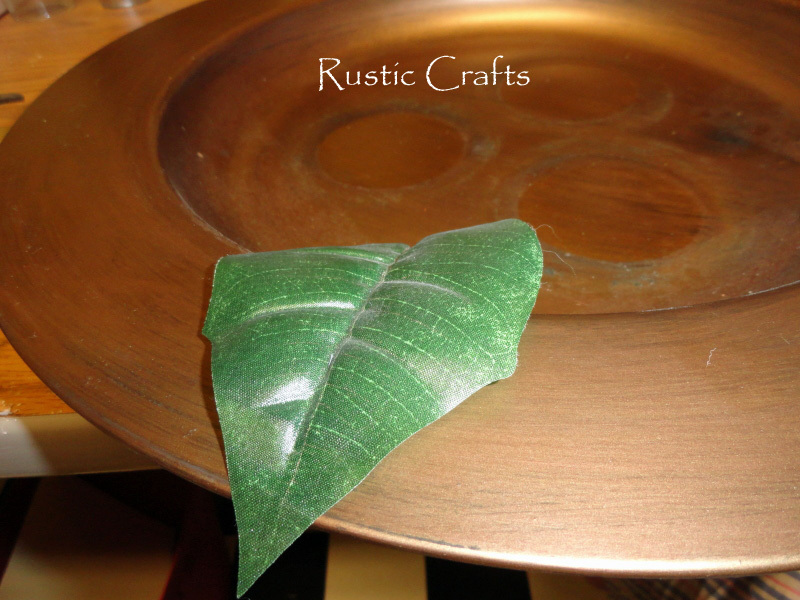 I also host a Monday blog hop, if you would like to check back in then to join! Wow! That room really pops! Nicely done!